Curious About Collision and Comprehensive Coverage? Understanding the difference between comprehensive and collision coverage on your auto insurance policy can be difficult. Among the fine print and paperwork, these unclear terms can be a bit misleading. We'll break down comprehensive insurance and collision coverage to better define the services you receive when you add these to your policy. Since neither is required by the state of Pennsylvania, we can help you determine if the additional coverage is necessary for you. When you get hit by another car, overturn your vehicle, or hit a stationary object, collision insurance covers the costs and repairs to your own car. Typically, you'll have a deductible set by your insurance company. Once you pay it, they will cover the repair costs to your car. 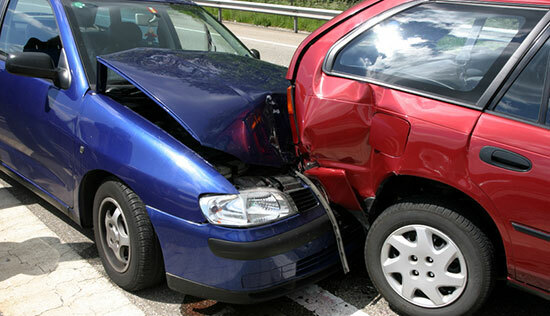 It's important to remember, collision pays for damages done to your own vehicle, not the other driver's. If you're found at fault, the property damage liability coverage on your policy will pay for repair costs to the other driver's car. Any Other "Acts of God"
Wondering if You Need Collision and Comprehensive? Collision and comprehensive insurance may not be necessary for everyone. For some – those with car loans through the bank – you will probably be required to carry both. However, if your car is older and has an estimated value lower than $1,000, you probably don't need to spend the extra money per month for collision and comprehensive. A good rule of thumb is to estimate the actual value of your car versus the cost of repairing it. In some cases, a minor accident could "total" your car and having collision/comprehensive might not be worth it.